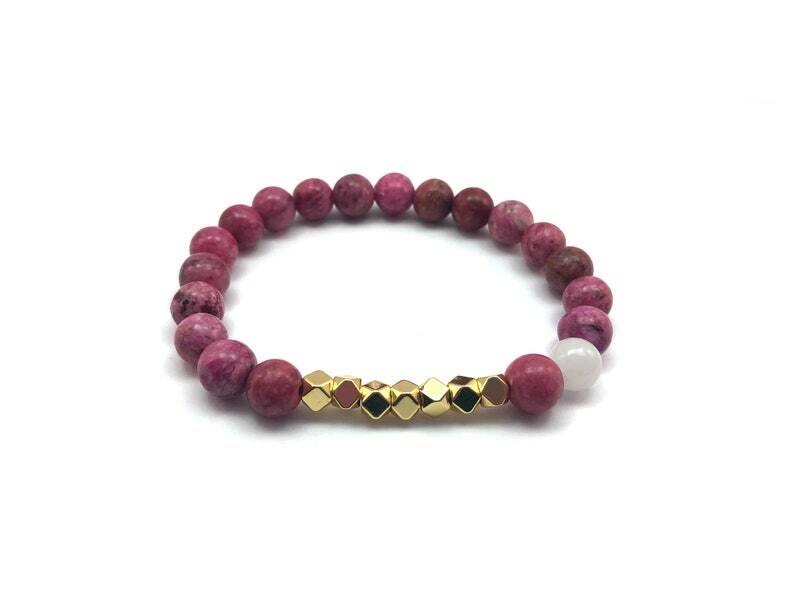 This trendy bracelet is made of stones that will help with intentions of happiness and overcoming depression. It is a Zeal Pont chakra bracelet. Check the Gemstone Intentions section for more. I like transparency in letting you know these beads are dyed. Some people prefer stones in their natural colors yet the properties are still there when dyed. - Crazy Lace Agate: happiness and laughter stone. Grounding, wellness, inner stability, self-confidence, self-acceptance, focus, and concentration. - Snow Quartz: Great for Chakra alignment, this crystal will activate your crown chakra, and it will help you in connecting with your higher self and with your spirit guides. Seller is super attentive! Both in customer communication and packaging. Great care goes into this business and I highly recommend!! !